It’s alarming to break a tooth! If you are experiencing a chipped tooth, broken tooth, or severe tooth pain, our experienced dentists are here to help. Tooth enamel is one of the most durable structures in the body, but even tooth enamel has its limits! If you are experiencing a broken, cracked, or abscessed tooth, give our office a call and we will do our best to accommodate you as soon as possible. We offer a variety of solutions to quickly restore a broken tooth. Our dentists will talk with you and take a look at your tooth to help you decide which treatment is best for you. Dental fillings are tooth-colored, and can instantly restore your health. Tooth bonding is matched to your smile and applied directly to the damaged tooth. Dental crowns cap the entire visible portion of the tooth, and is the better choice for more advanced damage. Dental veneers are thin ceramic shells that can restore the strength and beauty of the tooth within a few appointments. 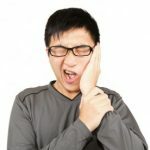 Tooth pain can occur in or around the tooth, and it may range from dull to distracting or even unbearable. The number one cause of tooth pain is decay. Deep decay is likely the culprit of your tooth pain, and should be addressed immediately. Gum disease may also cause toothache. Our team will get you into our office ASAP and examine the tooth. Once we determine the cause of the pain, we can treat the tooth and restore your comfort. No matter what the cause of your pain may be, we know how to reinstate your health with innovative treatment options. We want to relieve the pain rapidly so that you can get back to your life. Broken teeth and tooth pain require immediate attention, so don’t hesitate to give us a call today! Get Help For a Broken, Cracked, or Abscessed Tooth in La Mesa! If you are experiencing tooth pain and suspect a broken, cracked, or abscessed tooth as the culprit give Dr. Jeff Gray a call today. Dr. Gray offers his tooth pain relief services to everyone in the San Diego area, from La Mesa to El Cajon. Simply email, text, or call our office at 619-717-8560 today to get the relief you need! Please call as early in the day as possible, so we can serve you quickly.